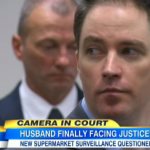 Dan also updated Good Morning America on the murder trial of David Pietz, the Seattle man accused of killing his wife in January 2006. A surveillance video of a shopping trip he took two days before he reported her missing to purchase Drano and rubber gloves, is now coming into play in court. Dan discusses: “On the one hand, it could suggest that he wanted to do some deep cleaning at his house, and on the other hand, it could suggest that he wanted to do some deep cleaning at his house…. so it depends on sort of how you look at the exact same pieces of evidence. It’s not helpful to him that he’s going in at midnight about a day and a half before this happens, and purchasing the sort of items one would purchase or might purchase to clean up a crime scene. On the other hand, the defense is saying, ‘That’s all great, but you haven’t been able to link that back to this particular crime, so, interesting… piece of evidence, but not make or break.” Watch the video here.